A great show that combines a puppet and a magic show all in one. Watch Prof Begle Puss and his side kick Louie perform tricks like The Disappearing Soup Can, The Golden Swamy Ball, The cosmic Washing Machine and a surprise ending you'll never forget. Lots of fun and lots of laughs. Perfect for birthday parties, events, county fairs, schools, promo, fund raisers, etc. 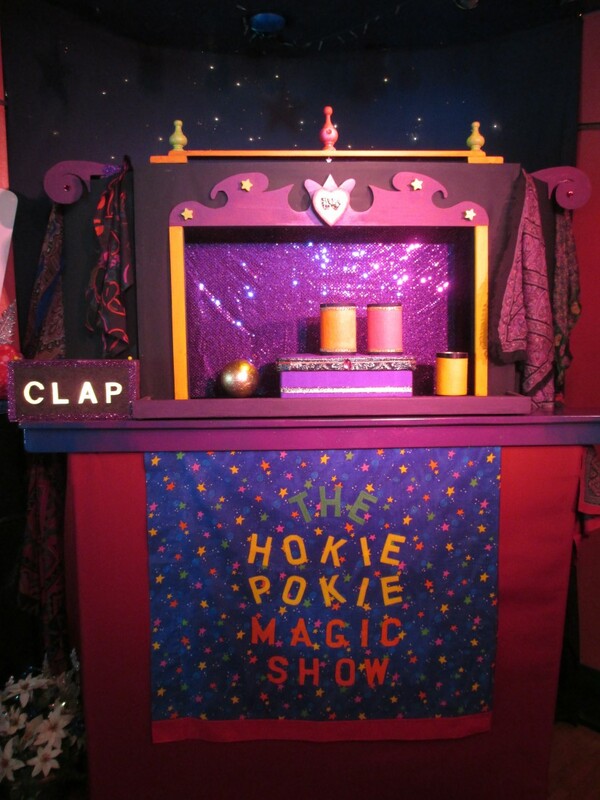 It's a one of a kind 'Wonderment Puppet' show that everyone will enjoy. Wonderment Puppets will arrive 1 hour before show time and set up (30 mins) We greet your guests with a walk around puppet called Cluck Cluck the Chicken. (30 Mins) We start the show with 2 warm ups in front of the stage called The Peeper Show (hand with eyeballs) and Stinky the Soc Puppet (an audience participation mini workshop on how to make a sock puppet) We include grown ups, too. Max the Party Dog sings Happy Birthday to the birthday child. (10-15 mins) Main show, I go behind the stage and perform. (30 mins) Our assistant remains in front to make sure your guests are enjoying themselves. After the show we pose for photos with the puppets. A special backstage tour is available to the birthday child if they are interested. We pack up, say goodbye and you can now serve the cake and open presents. 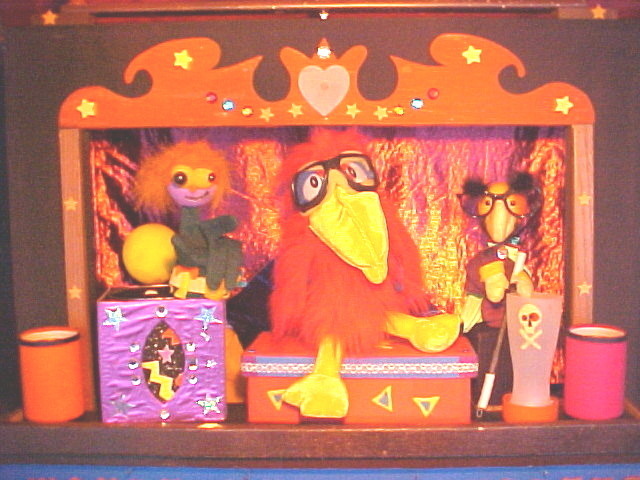 I am the owner of Wonderment Puppet Theater in Martinsburg WV. When I'm not performing I am a full time elementary school art teacher, and have worked with special need children for years, too. I got my inspiration when I worked at Walt Disney World. I have appeared on several TV puppet shows. We also toured WV State Parks for 2 years in a row. 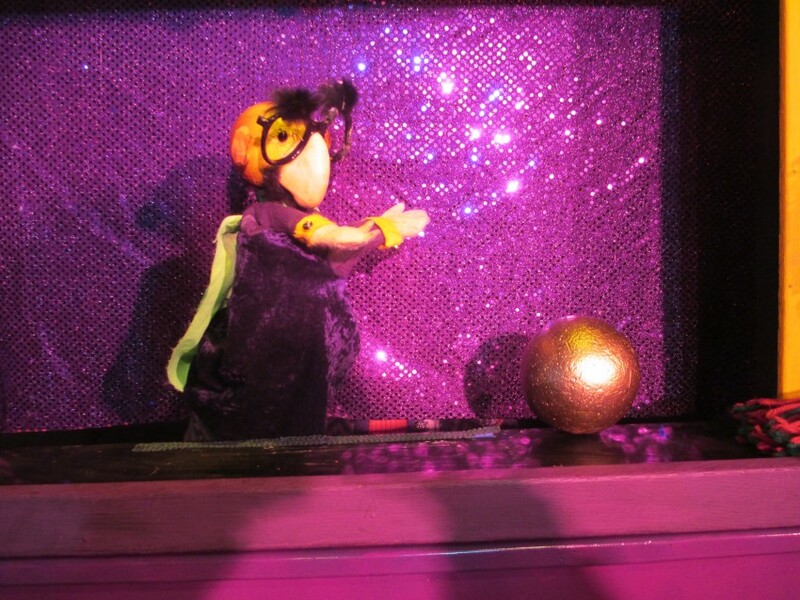 Wonderment Puppets will supply all the lighting, sound and stage. All you provide is an outlet and a 6' x 6' space. The show works well indoors due to the special effects. An outdoor show requires a shelter or tent provided by the host.